Entrata partners with IDScan.net to add ID scanning capabilities to its mobile leasing solution, SiteTablet. Entrata, the multi-family industry’s fastest growing technology provider, has partnered with IDScan.net to bring new and innovative ID scanning capabilities to its SiteTablet mobile leasing solution. IDScan.net’s ID parsing software development kit enables companies like Entrata to incorporate driver’s license reading and parsing capabilities into its own applications. The state of the art technology does not require Internet connectivity to scan ID’s and it parses the data locally on each device, resulting in much faster processing speeds. Both companies joined forces in October last year, with positive results coming in this quarter from existing clients. “The new ID scanning feature is receiving excellent feedback from clients in the multi-family industry,” said Joshua Renberg, product manager, Entrata. Since releasing the new ID scanning feature, Entrata has seen usage and adoption rates more than double for one of the multi-family’s largest companies using SiteTablet. The SiteTablet app was originally developed by Entrata to provide a connected mobile solution to the antiquated leasing process of the multi-family industry. In the past, leasing agents relied heavily on paper brochures, printed availability and pricing sheets and paper leases. SiteTablet allows agents to connect directly to their Property Management Software so they have real-time access to all of the information they need to do their job effectively. Founded in 2003, Entrata® is the most comprehensive property management software provider with a single-login, open-access Platform as a Service (PaaS) system. Offering a wide variety of online tools including websites, mobile apps, payments, lease signing, accounting, and resident management, the Entrata® platform currently serves more than 20,000 apartment communities nationwide, including 34 of the NMHC Top 50 Largest Managers. Entrata’s open API and superior selection of third-party integrations offer management companies the freedom to choose the technology and software that best fit their needs. For more information, go to http://www.entrata.com. March 15, 2016-Revention, a leader in providing custom point of sale solutions to the hospitality industry, has partnered with IDScan.net to provide a robust and secure age verification solution. This solution provides added security measures and empowers businesses to serve alcohol to legal aged patrons, eliminating much of the costly fines, lawsuits, and danger associated with serving to minors. Using the VeriScan Online scanning solution allows a business to verify age more quickly and accurately than ever, all with the swipe of a driver’s license through a Revention terminal. The program works with any state ID (driver’s license, military, ID, etc.) or magnetic stripe/2D barcode card. The data is captured and stored in the database for future reference, allowing businesses to keep track of every guest. Their information is stored in a file to see how many times they have visited the business along with the dates and times of othose visits. Furthermore, the program allows you to flag banned or VIP guests, which will alert staff members. “Revention will continue to partner with solutions such as IDScan.net to ensure that our customers receive the most up-to-date technology to keep their businesses secure,” stated Revention Director of Product Management, Laura Gaudin. Revention is the leading developer of complete, customizable restaurant and entertainment management solutions designed to streamline the way hospitality concepts do business. Revention’s offerings include point of sale solutions, HungerRush integrated online ordering, and Revention Enterprise. Revention provides a complete solution that includes customized installation, training, technical support and much more. For additional information, go to http://www.revention.com/. IDScan.net has just released the IDWare FC75, granting access to some of the most cost effective and reliable ID scanning technology to businesses in North America. IDScan.net, the leader in ID Scanning software solutions, announced today its release of the IDWare FC75.Utilizing laser technology, the IDWare FC75 scans IDs and autopopulates their data into any Windows-based forms in just one second, allowing buyers to add more efficiency to their businesses. 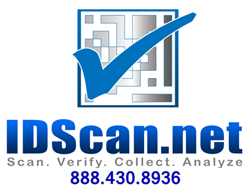 At just $399 per solution, IDScan.net has made ID scanning an accessible solution. IDScan.net’s CEO, Denis Petrov, states, “The IDWare FC75 is the champion of automatic data capture in terms of price point and quality.” According to KPMG’s recent survey “Going Beyond the Data,” 96% of people feel there are “untapped benefits,” from automatic data capture. “For many businesses who haven’t integrated ID scanning technology, the barrier of entry was price point. However, with the release of the IDWare FC75, this is no longer a factor because of the affordability of this new robust solution,” says Petrov. The IDWare FC75 has no moving parts which makes it extremely durable and will provide a long life span. It is a universal solution for businesses that capture customer or visitor information into existing applications (CRM, ERP, Quickbooks, MS Excel, POS, PMS, etc) and works in a remote desktop environment as well, saving people time and adding efficiency to company operations. The IDWare FC75 is easy to use and set up; no developer skills are required. 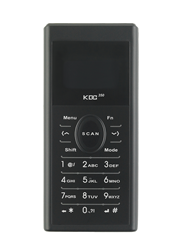 For more information on the IDWare FC75, please go tohttp://store.idscan.net/IDWare-FC75-ID-Scanner-with-WizzForms-_p_183.html. IDScan.net recently provided an oil refinery giant with new visitor management solution to facilitate their automated entry process. The solution is kiosk-based and requires no supervisor or manual oversight. Everything from entry request to database checking to badge printing is automated. The refinery deployed this solution to six entry points at their facility, so that they are secure from all access points and may track exactly where on the premises each visitor is. The first step in the VMS pipeline is the access request form. By utilizing this access queue you take the first step to fully automating your security solution. Prospective visitors are provided with a link to a customizable request form. Upon completion, this form is sent to a processing queue to be reviewed. If your business is qualified for government database checks they are performed at this point. The second step of the VMS pipeline occurs upon the visitor’s access request clearing the database checks and a visitation has been scheduled. Upon arrival at your location, the visitor will scan his ID. This can be done with a myriad of devices, however we suggest either an Infinea Tab Scanner for iPad, or the Honeywell Captuvo models for iPhone and iPad. Upon scan, the software will display demographic information such as name, age, address, gender, date of birth, as well as the ID’s expiration date, indicating its validity. After clearing this second round of security, the guest moves forward in the pipeline. The third step is to print the guest a visitor’s badge. This badge is customizable and can include a picture of the guest and all relevant information, include an expiration date and time. Small thermal printers are recommended for this process, as they are inexpensive and easily deployable. Upon providing the visitor with an expiring badge they become authorized. The forth step to the VMS process is record keeping. All logged IDs can be found at the VeriScan Online dashboard at www.veriscanonline.com. From there, security managers can generate reports, create custom groups to further categorize your visitors by interest or purpose (e.g. investor, maintenance, contractor, etc) and monitor other visitors in real-time. Using a sophisticated, modern, visitor management solution will save your company labor costs and time spent processing would-be clients and customers. It will also provide you and your business the peace of mind knowing that your solution covers against all risks, and certifies that your guest and your business is protected in the event of an emergency.